I am trying to figure out the best reloading methods for my PPC open revolver. I have problems using the speedloaders when I size and use the long expander, which I use for the HBWC bullets. seems like the expander opens the brass too much but I use it so that I don't swage down the hollow bases. seems like revolver use needs a little more attention compared to a semi-auto, especially using speedloaders. So what is the compromise? no long expander and possibly reduced accuracy from the bases being swaged down? If it matters I reload 38 on a SD Dillon but I could get regular dies and use a 550 if I had to. Jerry, Jim any PPC secrets? robert84010 wrote: I am trying to figure out the best reloading methods for my PPC open revolver. I have problems using the speedloaders when I size and use the long expander, which I use for the HBWC bullets. seems like the expander opens the brass too much but I use it so that I don't swage down the hollow bases. seems like revolver use needs a little more attention compared to a semi-auto, especially using speedloaders. I don't think the thin brass case walls have the strength to swage down the main body of the bullet.. Load a few rounds and then pull them and check.. I never found a reduction..I used Remington 148s exclusively, which are larger than the Speer... I loaded on a Dillon 1050 for many tens of thousands for quite a few years.. I just dug up my 1050 38 spl. tool head, and it has the standard Dillon dies, except the taper crimp, which is a Bonanza.. My seating die, is adjusted to only seat the bullet, nothing more..The die walls do nothing, except guide the bullet as it is seated.. Then the taper crimp lightly touches the case..The cylinder chambers were chamfered heavily, and the edges on the extractor were broken. The star tips were chamfered as to not catch an edge.. I use a custom expander plug for the Remington HBWC's that allows the .360 dia skirts to start in the cases. I do use the Lee Factory crimping die without incident. I've not found using it to be a detriment. Personally, I think the explosive blast would bump up the skirts to seal the cylinder throat anyway if they were reduced significantly. WHAT type of trouble with the speedloaders? For example, what do your reloads measure in diameter 1/8-inch behind the case mouth? How much different (if any) is that from any factory WC ammo that you don't have trouble with the speedloaders? What type of trouble? I can infer that you have implied that the pack of cartridges is getting started into the chambers but is hanging up somewhere deeper than that? Me, I much, much prefer the old Safariland Mark II or whatevers (second-gen, hated the size of the 3rd-gen "Comp III" or whatevers that I never even tried them), and they have always worked even when I had loads with somewhat oversize bullets like .359 or so. But my inference about what you implied might be wrong. But this much I can guess, with all caveats and disclaimers--IF the cartridges are trying to wedge in the chambers halfway like mid-body and before you release them from the speedloader, then maybe it's not the ammo but it's the speadloader(s) being just that much too far "off" on either the diameter of the ring of holes, or the placement of at least one on them in the circle. Or they might just plain be for a different revolver. I'd be guessing at least half-wrong if factory ammo works just fine. But I don't know that. If factory works fine it could be the ammo, or half the ammo and half the speedloader. Ish. Don't sue me if it's 60/40, okay? The rounds start into the cylinder fine, the problem is some of them won't fit all the way into the cylinder and I end up having to force some all the way in, in order to close the cylinder, since it's a timed event I always end up with one not all the way in. Then there is significant force and the sometimes the cylinder wont' rotate freely, because one is pushing on the backplate. I'm using the CompIII loaders and I know they are the right ones, they are all K frame loaders. I'm sure factory ammo would be perfect, but who has that?? The other part that makes it frustrating is that my reloads used in my Model 14-6 don't really have this problem, it's mostly in my BrushCreekltd. built Model 10 open pistol. I believe it's because the open pistol has been hard chrome plated and maybe the cylinders are just slightly smaller in diameter. There are still problems using the 14-6 but far fewer. I'm pretty sure it's the expander opening the cases up too much and too far down that is causing the problem. I think I have a shorter one, so i'll either adjust it or replace it. The dies for a Square Deal are different than regular 7/8" dies but it is a four stage press so i'm not trying to seat and taper at the same time. I'll have to double check those adjustments as well. A Lee Factory crimping die with the carbide ring will solve your problems. I was thinking that the sizing die isn't going all the way to the shellplate. You can't leave the loads unsized for ppc. Bullseye, yes , not for ppc loading. Joe should be able to help if you have issues with your Mojo gun. Maybe use different brass with a thinner wall thickness? I spent a little time sorting this out, which I had never really did until now, and I think it was several little things adding up. I added a little extra crimp, cleaned the cylinders, pushed the seating depth down a little also. plus I never really looked at or cleaned up the rounds after loading. Just went from the press to the range and I think these just need a little clean up before shooting. I will probably still start to load on my 550 since i've never really liked the square deal. Hopefully this will make it easier also. we'll see next time at the range. Thanks for all the suggestions. I have total and complete faith in the pistol, it's just the rounds not going into the cylinders on occasion. I've shot some great strings at 50 with it. i've just had problems speedloading while trying to do a stage on time. I would send my 14-6 to Joe but since i'm not an LEO I can't really compete so why spend the money? I just want to shoot the course and go to a regional that allows civi's to participate. A shame the NRA won't allow non-leo to compete. We can pay our match fees and participate but that's about it. If you shoot the MPCPA matches, or NRA civilian 1500 you can compete. I tumble my finished rounds in cob to clean em up after loading them. Keeps them squeeky clean. well Michigan is a little too far for me to travel too regularly. There are NO NRA action pistol matches in the whole state of UT. so i'm trying to get some interest started at a local range just to practice with people and then I want to go to a match in a neighboring state. From what I understand either way I cannot get points toward a PPC badge? The aggravating part about is I have an email from the LE competition division head that states the NRA doesn't care if civilians shoot the match, that's why it's allowed as part of the NRA action pistol match. I guess there is some other organization that cares? I believe at one time the Police Marksmanship Association was a big part of PPC? maybe they still won't budge? I find it all kind of silly when you think about what kind of training and matches are out there every weekend but they won't budge from a non-leo being able to get a classification or shoot for a badge. I don't really get it but I just want to shoot the course because it's the only non bullseye course that has primarily a marksmanship component to the scoring instead of speed first. I guess service pistol and service rifle badges are enough for me, three badges would be just showing off. Some rounds are resisting chambering AFTER being released from the speedloader? Yeah, that's either bad sizing (the suggestion of not getting sized all the way down to the web area would hold if they go in free until the last 1/4-inch or so) or over-crimping (which results in a bulge just behind the crimp, those will drag all the way in the chamber--the blessings of brass "spring-back" makes them extract just fine 'cause they get properly "sized" to the chamber on firing). Yeah, Utah has one of the best/fastest, if not the #1, economy recovering from DC's valiant efforts to delay recovery from the tax 'n spend recession. That's because we're all working like crazy when we HAVE jobs. Sadly, the many retirees we have around here aren't interested in organizing and running matches. And no locals shops will stock black powder. Strange. I did 50 rounds yesterday and have fixed it with several small adjustments, but i'm going to convert loading 38 over to my 550. the square deal is neither fast nor smooth with a full wadcutter round, in my opinion. I didn't have much fun reloading my 32 S&W Long on it either. seems like there is always something hanging up. several people have mentioned the Lee factory taper die, so i'll get one of those. FWIW I marked and sized several cases to see how far down the various sizers go on the brass. The measurement is what remained un-sized from the case base UP. Therefore the smaller number indicated farther down sizing. These are all the size dies I got. The individual carbide ring in any one of them could vary even within dies of the same brand. Dillon sized 38spcl down the farthest on the case. What is the case diameter at its largest above the rim??? I sampled 12 and they all feel between .374-.376. mostly .375. I had a problem with wadcutters, but only with PMC brass. There was a small bulge about half way down, and it wouldn't go in the case gauge. Some research on the web, and found that PMC brass is tapered on the inside, gets thicker going toward the base. Its just fine with SWCs, but not WCs. I don't know what brass your using, but something to check. thanks Ken. I have mixed brass and I specifically loaded three different brands, including PMC, and they all seem to fit fine now. seems like most of the problem was the expander setting was too deep. I still have to shoot them though. I will end up going through all of it and making batches of similar brands, just to help minimize problems. 1) do the sized cases drop in the cylinders freely? The Dillon sizing die does not size down as far as the Lee or Hornady sizing dies. If there is any problem with the sized cases, get a Lee sizing die. 2) paint the round with black Magic Marker and drop in cylinder. Try to rotate back-and-forth. When you remove the round, the scratches in the "paint" will show where your problem is. Base of bullet? Not seated straight. Near the extractor groove? Need to size further down. 3) I found that the getting the bullets to seat straight was a problem. I found that I had to over-flare the case mouth to get more of the bullet in the case so it was easier to seat straight. .376 should be fine. Check the diameter after firing and report back. I had most of it sorted out but I ended up converting over to my 550 using RCBS dies and a LEE FCD. I realized through all this how spoiled I was by learning to reload on 45 acp, so easy. It's all sorted now I just have to clean the seater every so often because i'm using ZERO swaged 148's and they seem to strip some lead off while seating. I'm looking to get some DEWC's for 25 yards and use the swaged bullets just for 50 yards. Do you guys use any case lube for 38? seems like it would help the sizing process a bit, i've never used any for pistol before. 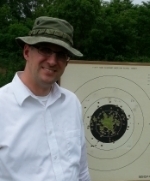 I shot several match four's today in preps for my first PPC practice match this weekend. everything fed well and shot where I pointed it. just checked several cases I shot today and they were all .375.